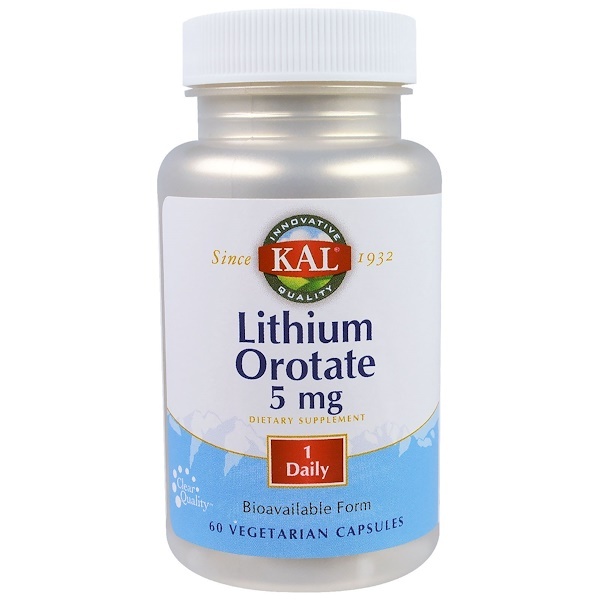 Lithium is an important trace element naturally occurring in many types of foods including grains and vegetables. This natural Orotate form is chelated and highly bioavailable. Use only as directed. Take 1 VegCap daily. Vegetable cellulose capsule, cellulose, organic rice extract blend and silica. Do not use if safety seal is broken or missing. Keep out of reach of children. 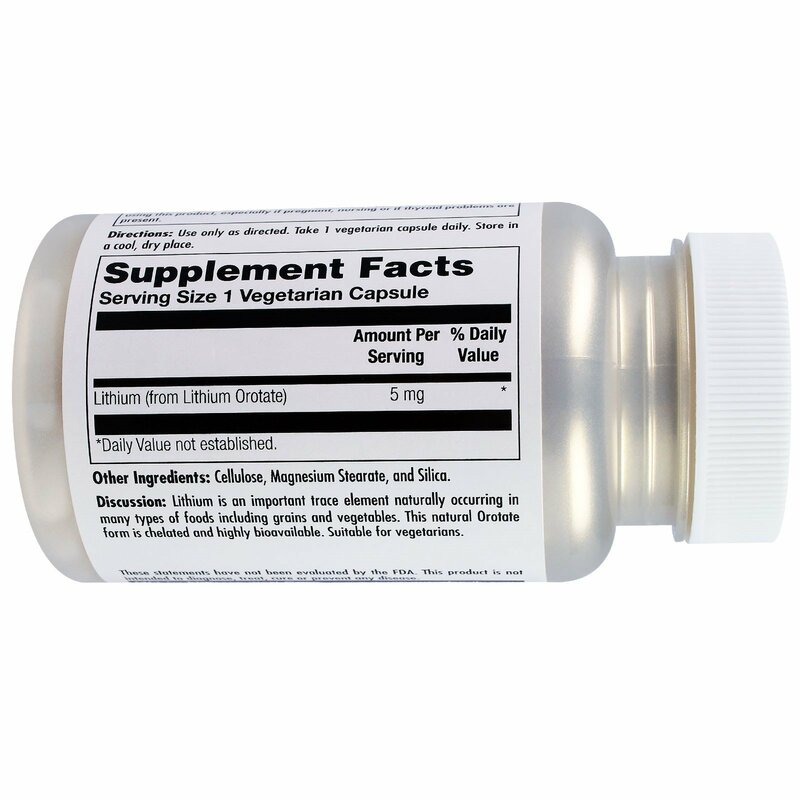 Keep your licensed health care practitioner informed when using this product, especially if pregnant, nursing or if thyroid problems are present.